It's the little things that turn a good digital product into a great one. 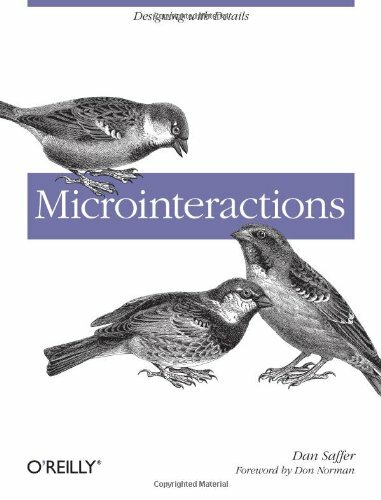 With this practical book, you'll learn how to design effective microinteractions: the small details that exist inside and around features. It's the little things that turn a good digital product into a great one. With this practical book, you'll learn how to design effective microinteractions: the small details that exist inside and around features. How can users change a setting? How do they turn on mute, or know they have a new email message?